Throughout the history of writing history, that is to say since Herodotus put pen to paper, Iran has always attracted and at the same time repelled those who, for a variety of reasons, took an interest in its complex character as a major actor in world events in the past millennia. 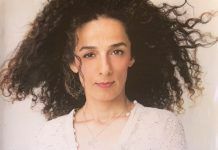 Often, the interaction of that fascination and rejection made it difficult, if not impossible, to construct an objective narrative of the Iranian story. 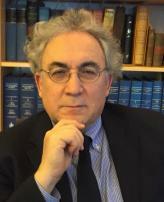 As a result, Iran was, and – as the author of this hefty oeuvre, Professor Abbas Amanat, admits – remains subject to a method of scrutiny that he labels “history with an attitude.” In practice, this means that those who write about Iran also write about themselves, at least in the sense of how their generation or contemporary scholarship views historic events. 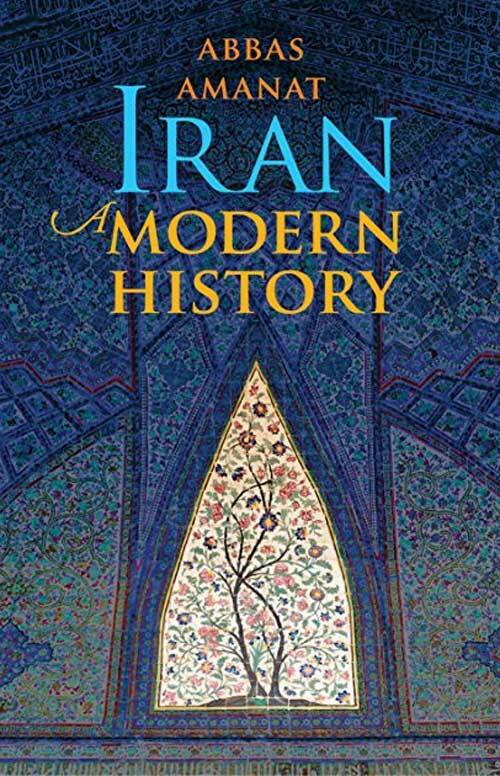 Let’s say at the outset that thanks to the easy flow of its prose, Amanat’s book, focusing on Iran’s history from the establishment of the Safavid Dynasty in 1501 to the present day, is a delight to read especially for the general reader. The use of the term “modern,” however, injects some ambiguity as Amanat himself admits. Did Iran enter the modern world with the Safavids? More importantly, perhaps, are we sure Iran has entered the modern world, which means different things to different people? A fruit of the Enlightenment (also known as the Age of Enlightenment or the Age of Reason,) the concept of modernity is based on the linear vision of human history as a progressive continuum from a low point to higher and higher ones. Amanat does not involve himself in the complexities of the question of modernity. However, he implies that the modern world started with the emergence of the so-called “Gunpowder Empires,” new actors in history using the WMD of the day to expand through warfare. Since Iran under the Safavids became an early victim of “Gunpowder Empire” in the shape of the Ottomans under Sultan Salim, one could argue that it entered modern times, especially since the Safavids ended up acquiring and deploying modern artillery. Later, under the Qajars, who succeeded the Safavids after the long and bloody parenthesis of two more dynasties, continued Iran’s incursion into modernity with a number of physical and institutional reforms. Under the Pahlavis, who succeeded the Qajars, the pace of modernization accelerated with emphasis on turning Iran into a Western-style nation-state and, perhaps, a model for the entire Persianate cultural sphere. Amanat’s narrative follows the predominant view of Western, and to some extent even Soviet, scholars of Iranian history in the past five centuries. 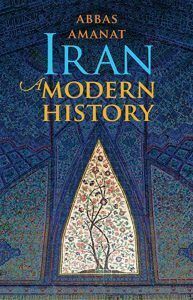 Thus, his book has the added interest of telling the reader how modern scholarship, dominated by Western academics and researchers, sees Iran. The advantage of that method is its genius for rationalization and simplification. For example, we are told that the Safavid Dynasty, founded by the young warrior Ismail, introduced Shiism to Iran and imposed it as a religion of the state by the sword. This means ignoring the fact that Shiism, in its many different versions, had always had a presence in Iran half a millennium before the Safavids. One might also wonder how Shiite the Safavids actually were. They produced no theological text on the subject and were obliged to import their clerics from the Shiite parts of Lebanon. The native Iranian Shiite clergy, especially in cities such as Shiraz and Isfahan, did not share Shah Ismail’s peculiar vision. Three of the 12 Safavid kings were named Abbas, after the Prophet’s uncle and the ancestor of Abbasid, who became mortal enemies of Ali and his descendants. Only the very last of the Safavids on the throne in Isfahan was called Sultan Hussein. 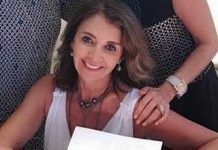 Shah Ismail was proud of his Christian mother Martha, a Byzantine beauty, who refused to convert to Islam, let alone Shiism. Amanat repeats some of the old chestnuts in circulation about the Safavids, notably the claim that the Qizilbash (Red Cap), Ismail’s elite troops, boiled the corpses of Ottoman soldiers and devoured them while getting drunk. 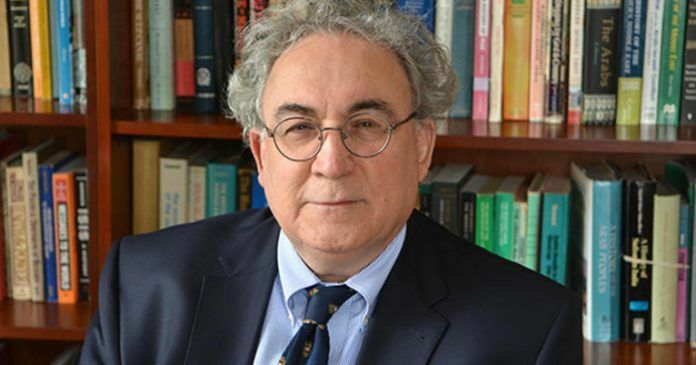 The standard Western scholars’ view of the Safavids, masterfully expressed by Amanat, ignores Iran’s schizophrenia, a nation that does not feel comfortable with Islam but is, at the same time, reluctant, to abandon it. The fact that Islam, in its different versions, has been used in dynastic wars, and is today used by the Khomeinist movement, in the political arena, cannot hide the fact that religion has been and still is used as an instrument of political power rather than the other way round. The Safavids’ praetorian guards, the Qizil Bash, spoke Turkish while the king’s mullahs, imported from Lebanon, spoke Arabic. Thus the two pillars of the new state couldn’t directly communicate with the king’s subjects. Western academia’s shortcut of “Iran became Shiite under Safavids” does not tell the whole story. Amanat’s account of the Iranian story under the Qajars also suffers from received ideas that are hard to dispel. The image of the Qajars as a corrupt, retrograde and ultimately incompetent dynasty makes it difficult to study the impact of historic events, notably the rise of European imperialist powers, beyond their control. However, Amanat’s account has at least one welcome feature as it depicts the ups and downs of religious and political dissent in the Qajar era. Of special interest is Amanat’s account of the rise of the Babi movement and the formation of the Bahai faith and the repression meted out by the Qajars, an issue traditionally avoided by Western historians of Iran. 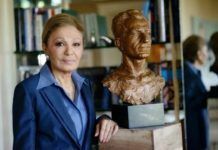 When we come to the Pahlavi era, Amanat tries, at times heroically, to veer away from the received ideas that have become shibboleths for many Western scholars writing about Iran. Conscious of the danger that he might be ostracized by the academic establishment that regards the Pahlavis with disdain, he raises his head from the parapet occasionally to assert that the two Pahlavis shahs did some good for Iran. 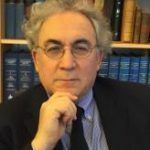 He writes: “In the Pahlavi era, the Iranian population had improved in every generation — physically, hygienically, and medically, from the frail, malnourished and diseased population at the turn of the century – visible in many photographs of the period- to a relatively healthy, sanitary, and better nourished people.” Wow! In a highly readable survey of Persian poetry during Mohammad Reza Shah’s reign, Amanat is surprised and even faintly pained to show that doom and gloom dominated the literary scene. Amanat also debunks, albeit gingerly, the claim by anti-Shah Marxist and Islamist guerrillas that his regime killed “tens of thousands” of their followers. He states that the total number of Fedayeen of People executed or killed in armed action against security forces was 198 while the People’s Combatants lost 15. The killing of “ tens of thousands” was to come much later, under Ayatollah Ruhollah Khomeini. Equally gingerly, Amanat sets aside the standard claim in Western academia that whatever the Shah did was in accordance with the wishes of the Western powers. In his guerrilla-style attempt at escaping from received ideas concerning Iran’s recent history, Amanat hits a big hurdle in the shape of the August 1953 events that led to the end of Muhammad Mussadeq’s two-year tenure as Prime Minister. The standard narrative in Western academia is that Mussadeq’s dismissal by the Shah was a coup d’état plotted by the CIA and carried out by the Shah and his supporters in the military. Anyone who deviates from that narrative is branded a revisionist, almost as bad as Holocaust deniers, and ostracized in scholarly circles. Amanat is knowledgeable enough not to share such views. But what could he do? The “CIA coup d’état against Mussadeq” narrative has generated a veritable industry and served as the basis of numerous academic reputations. That narrative also enjoys support from the worldwide anti-American sentiments from both the left and right of the political spectrum. So,. What should Amanat do? Well, he describes the whole thing as “ the working draft of a Grahame Greene novel,” a tongue-in-cheek way of questioning the received idea without incurring the wrath of the peddlers in the academic sphere. Amanat then has recourse to numerous qualifiers to indicate that he doesn’t quite share the standard narrative of the Mussadeq saga. Amanat also dares to criticize Mussadeq. He writes: “His disturbing autocratic conduct may be seen as a conundrum between conservativism, liberalism and radial populism.” Perhaps! In any case, Mussadeq, seen by Amanat, wasn’t the liberal democrat overthrown by earth-devouring American imperialism. Yet to insure himself against attacks by the received-ideas wolf-pack, Amanat repeats the standard narrative at top speed, a regrettable diversion in an otherwise fair account of the events. During his 37 years as sovereign, the Shah appointed and dismissed 23 prime ministers, including Mussadeq twice. Should we regard every one of those dismissals as a coup d’état? And why didn’t Mussadeq himself ever claim that he had been victim of a coup d’état? The reason was that Mussadeq, French-educated as he was, knew that the French term meant the violent change of a nation’s regime, head of state and constitution, none of which had happened in Iran. Mussadeq’s dismissal may have been politically bad and morally wrong. But whatever it was, it wasn’t a coup d’état. Nor did the CIA, which has proved its incompetence in numerous situations, would have been able to exert such a major influence on Iranian politics. Amanat is refreshingly balanced in his account of the Khomeinist revolution and the record of the Islamic Republic in the past three decades. In a cool tone he relates the mass executions, the seizure of hostages and the fomenting of terror and oppression that have become key features of the Khomeinist system. At the same time, however, he notes that the Khomeinist regime has provided Iran with a measure of stability rare in today’s turbulent Middle East. To be sure, critics might claim that the stability of which Amanat talks may be stagnation or the calm of a graveyard. Khomeini’s paternal family originally came from Kashmir, much of which is now part of India. But his great-grandfather emigrated to Najaf, Iraq, and then, around 1840, to Khomein in Iran. The ayatollah, therefore, was born 62 years after his family had become Iranian with no links to Kashmir. One big mistake Amanat makes is his assertion that the Khomeinist revolution has brought the “Shiite clerical establishment to power.” This is certainly not the case. Khomeini was never one of the “top four ayatollahs of the time,” as Amanat asserts. Until he seized power, Khomeini was in the third tier of the top Shi’ite hierarchy. To distinguish himself from the traditional hierarchy, he invented the title of Imam for himself. In 1978, the Shiite clergy numbered around 250,000 of whom a small number took part in the revolution. Even today, none of the mullahs in senior positions in the regime can be counted among the top echelons of the clerical hierarchy. 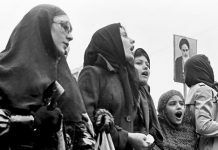 While Khomeini did play a major role in toppling the Shah’s regime, it would be an exaggeration to regard him as the creator rather than the creature of the Islamic revolution. Amanat describes Khomeini as something of a philosopher specialized in Ibn al-Arabi, Ibn Rushd and Mulla Sadra of Shiraz. However, though Khomeini may have briefly dipped a toe in a philosophical basin, he could hardly be regarded as a budding philosopher. Numerous factual errors, often due to poor editing and fact-checking, mar this magnificent book. For example, it was not only in the 19th century that Iran “had trouble with the Russians.” Ever since their emergence as a distinct people, Russians had adopted an aggressive posture vis-a-vis neighboring nations, including Iran. Classical Persian poets such as Nezami and Khaqani have numerous odes narrating some of the Irano-Russian wars in their times. Amanat says that the Shah “became close to Ayatollah Borujerdi and distanced himself from Kashani as marja’a. But Kashani was never a marja’a (source of emulation) and did not publish the rislah (thesis) needed to seek the highest rank in Shiite clerical hierarchy. The claim that the purge of Bahais started under Zahedi as prime minister is also inexact. The purge began under the premiership of General Haj-Ali Razmara when his Minister of Education Dr. Shamseddin Jazayeri fired 318 Bahai primary and secondary school teachers. The journalist taking part, while covering, the destruction of the Bahai Centre (hazirat al-Quds) in Tehran was not Reuters correspondent Ali Mehravari but UPI’s Yussef Mazandi. Muhammad Baqer Majlesi’s magnum opus “Bahar al-Anwar” (Seas of light) was not written as an attack on the Bahai faith. It was written almost two centuries before the Bahai Faith appeared. It is surprising that Amanat fails to pay enough attention to the Hojatieh Society, a semi-clandestine outfit, dedicated to fighting the Bahais. Amanat’s assertion that the Tudeh Party and the Bahai faith posed doctrinal challenges to Shiism is open to question. The Tudeh never tackled the issue of religion, let alone its Shiite brand, in any coherent manner. And the Bahai faith never saw itself as a schismatic branch of Shiism but as an autonomous religion. Amanat says that after the August 1953 events and the fall of Mussadeq, the US offered Iran “massive aid” especially by launching the Point IV program. However, between 1953 and 1965 when the Shah announced that Iran would no longer accept any foreign aid, total US aid to Iran amounted to $60 million. Point IV had started in 1949 under President Harry S. Truman long before the formation of a Cabinet by Zahedi. Amanat speaks of a “Zahedi regime” that, backed by the US, was supposedly a challenge to the Shah’s authority. But Zahedi headed the Cabinet for around two years, not long enough to develop ambitions against the Shah. By the way, Zahedi was never named Ambassador to Rome, as Amanat suggests. After his dismissal as Prime Minister, he briefly served as Iran’s delegate to the United Nations’ office in Geneva. The claim that Kermit Roosevelt, a CIA operative briefly vising Tehran, had arranged for Zahedi to hide in the home of a US Embassy staff is laughable. In fact, Zahedi, had sought sanctuary (bast) in the parliament building where, by tradition, the police could not intervene. In the final phase of the August drama, he was hiding at the home of a brother of Colonel Abbas Farzanegan. In any case, Zahedi would not have feared for his life as he was related to Mussadeq by both blood and marriage. 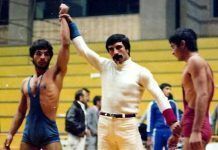 In the Iran of those days, the ruling class would never use violence against one of its members. Amanat spends much time wondering what caused the Tudeh’s “dormancy” (sic) which prevented it from supporting Mussadeq against the Shah. However, the reasons are clear. Stalin had died just four months earlier, and the power struggle in the Kremlin between Grigori Malenkov and Nikita S Khrushchev needed three more months to be decided in favor of the latter. The USSR was not in a position to get involved in a big gamble over Iran. In any case, Tudeh had always claimed that Mussadeq was a US puppet and that his quarrel with the Shah was rooted in Mussadeq’s royal Qajar roots. Amanat describes the Shah’s father, Reza Shah, as a middle-ranking officer of the Cossack Brigade. However, Reza Khan, the future Reza Shah, was a one-star general, the highest ranking military officer in Iran at the time, and Commander-in-Chief of the Cossack Brigade. Amanat’s claim that the Shah carried out “merciless (sic) execution of Tudeh leaders” has little basis in fact. No Tudeh Party leader was ever executed, if only because they had all fled to the Soviet Union. The claim that “thousands were killed under the Shah” is also hard to sustain. The Islamic Republic’s Interior Ministry conducted a two-year study on the issue and published a report written by Islamic Majlis member Emadeddin Baqi. In it, the number of people who had been executed or died in anti-regime protests and guerrilla operations during the Shah’s 37-year long reign was put at 1364. Mussadeq’s house, number 109 Kakh Avenue, was not “destroyed by shelling.” Only a few windows were broken by a gang that looted the house after Mussadeq had gone into hiding in a neighbor’s house. Moussadeq’s removal was not caused by the army’s intervention. In fact, not a single military unit took part in the Tehran-wide uprising that forced Mussadeq to go into hiding. Mussadeq himself was War Minister while one of his relatives, General Riahi was Chief of Staff. One of Mussadeq’s nephews was Chief of Police. The first sign of the military, in the shape of a single tank loaded with civilians, came at the end of the day after Mussadeq had fled to escape arrest. Amanat says Mussadeq lived in “humble dwellings” and was buried in a “modest grave” in the village of Ahmadabad. But he omits mentioning that Mussadeq owned the whole village and that his “humble dwelling” was a respectable villa with 12 bedrooms. In any case, as the grandson of a Shah and scion of a royal land-owning family, Mussadeq always maintained a respectable standard of living. The title Aryamehr, put in circulation for the Shah, doesn’t mean “Sunlight of Arya” but “one who loves the Aryan people.” Similar terms include Iranmehr, Azadmehr, Azarmehr, Radmher, Shadmehr etc. Amanat labels Muzzafar Baqai and Hussein Makki as “rabble-rousers” because they broke with Mussadeq. However, the two men were among the most popular political leaders of their time. Mussadeq paid special homage to Makki by calling him “Self-Sacrificing Soldier of Fatherland”. They broke with Mussadeq when he manifested autocratic tendencies by illegally dissolving the parliament and declaring martial law. Contrary to what Amanat suggests, “many journalists” did not cooperate with the CIA’s supposed black-ops against Mussadeq. Only two journalists were ever named in that context: Ali Jalali and Farrokh Kayvani. Even then, their contribution was limited to anti-Tudeh articles and the dissemination of the news that the Shah had dismissed Mussadeq as Prime Minister. Amanat says that in 1935, Reza Shah adopted the name “Iran” for the country. This is incorrect. Iran was always called Iran as seen in bas-reliefs of Taq-Bostan and more than 1,000 years of Persian poetry. In 1935, Reza Shah instructed the International Postal Union no longer to accept mail addressed to “Persia” or its variations such as “la Perse,” thus demanding that the whole world call Iran by the name Iranians always called it. Poor editing also fills Amanat’s book with errors regarding the names and/or positions of some officials and other personalities. For example, the Shah’s longest serving Foreign Minister was Abbas-Ali Khalatbari not Amir Arsalan. Houari Boumedienne wasn’t a general, but a colonel. The Anglophile brothers involved in the August drama were the Rashidians, not Rashidis. Parviz Sabety was not Deputy Intelligence Director of Savak, but head of its Third Department which dealt with research, policy planning and media affairs. The UN was founded in 1945 not 1947. Mustafa Firuz, a Qajar prince, was Assistant to the Prime Minister under Ahmad Qavam, not Iran’s ambassador to Moscow. According to Amanat, under the Islamic Republic, “hundreds of thousands of Iranians have immigrated.” However, official figures given by the Islamic Republic puts the number of Iranians in exile at around 8 million. Amanat has some praise for Khomeini for setting up the Islamic Free University. However, that institution was launched in 1973 under the Shah with support from Open University in Great Britain, albeit without the “Islamic” label. The P5+1 group that negotiated the controversial nuclear deal with Tehran did not consist of the five permanent members of the UNU Security Council and the European Union. The “plus 1” was Germany. The so-called deal wasn’t signed on 14 July 2015 or any other time; it has never been signed by anybody just circulate as a press release. Amanat’s assertion that the Islamic republic has matured is open to discussion. It is possible to argue that rather than having matured, it has decayed. Amanat’s history with an attitude is a welcome contribution, although in some cases, attitude adjustment might improve things.